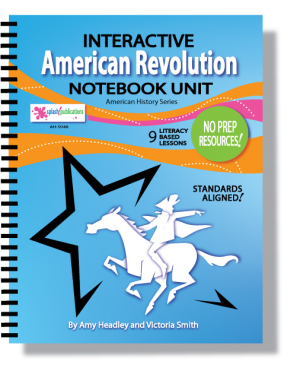 American History is a comprehensive Interactive Notebook Social Studies program designed for History teachers and homeschool parents searching for an American History curriculum aligned with rigorous Core standards that foster literacy in Social Studies. 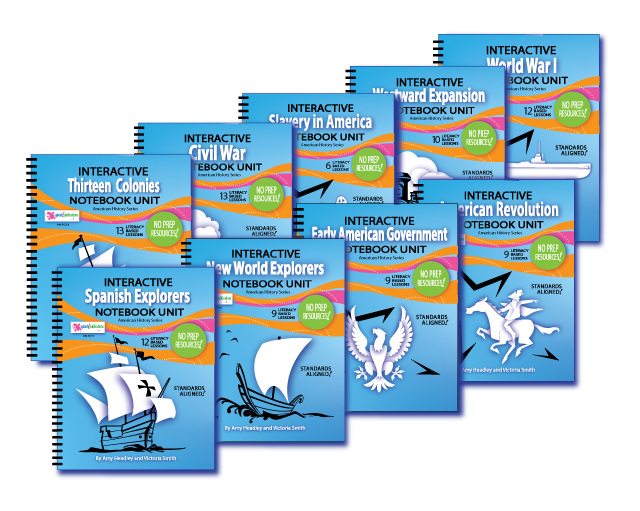 Make copies of the American History lessons and activities from your nine book set, or consider purchasing one of our Homeschool or Classroom packages which include our sturdy spiral bound American History Student Editions, giving each child his or her own book with the 93 American History lessons. 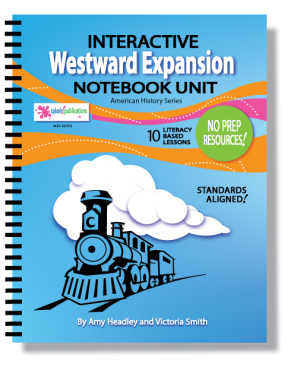 You simply need to make copies of the activities from your books. 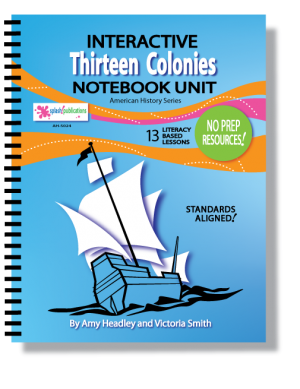 The American History Student Editions will last year after year, saving you time and money at the copy machine. 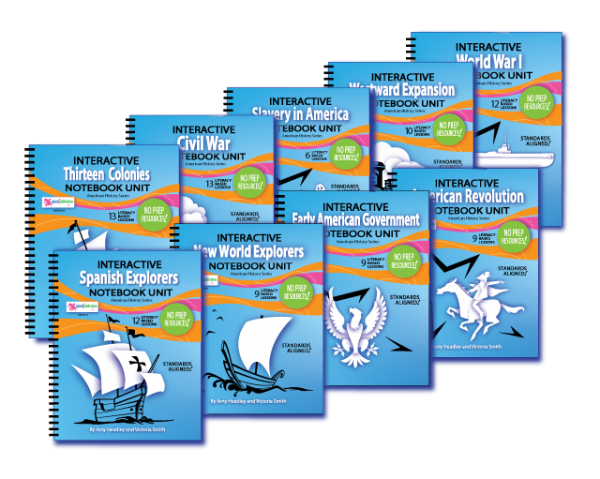 Each Classroom Package includes a free set of the nine American History books, giving you the flexibility to mix and match packages until you have enough for your entire class! 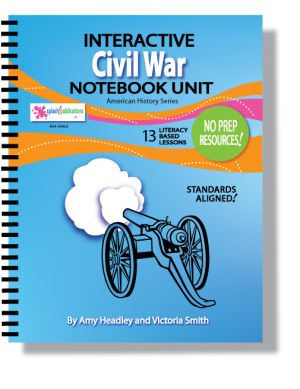 If you like our American History Program, please leave us a review. A huge thanks in advance!